Plan ahead for your 2019 vacation and travels. Malacañang Palace has released the official list of Philippine holidays next year. If you are a traveholic who loves to plot your future getaways your calendars this early, book cheap flights, scout for cool places, you'll find this list helpful. We have nine long weekends in 2019. This list covers holidays that fall on a Monday/Friday or Tuesday/Thursday (with one vacation leave in between), thus making a long weekend. Click here for Full List of 2019 Philippine Holidays. After spending so many weeks or months in recovery, you may be nearing the time for you to be discharged from your inpatient program. The idea of going back into society and resuming your former life can be scary. You do not want to relapse and start using drugs or alcohol again. Rather than send you out into society where you could risk relapsing, your program’s coordinators might instead arrange for you to take part in some sort of outpatient or continued recovery program. By entering an outpatient program, continued recovery outreach, or transitional house in washington dc, you can gradually reenter society and use your skills to avoid the urge to start using drugs or alcohol again. Just as when you were in inpatient care, you will have rules that you must follow as a house resident. You will not be allowed to simply do whatever you want, which could increase your risk of relapsing. You will have rules that you must abide by if you want to continue being a resident in the home. The first rule involves the length of your stay. Most of these places allow residents to stay up to one year depending on their needs. During that time, you are encouraged to find a job and start saving money to put toward a new place of your own once you leave the home. You also will be required to abide by a curfew during your stay. You cannot leave the home during certain hours of the overnight, which is when most people like to go to bars or meet up with friends to abuse substances. If you leave during those times, you forfeit your privilege of living in the home. Finally, you will be expected to contribute to the home’s upkeep. You may have chores assigned to you on a daily basis. You also may need to help pay expenses like groceries if you want to continue living there. These measures are designed to give you a sense of responsibility and accomplishment and also teach you how to live independently again. My kids had nice teeth in their younger years. By the moment their permanent teeth started to erupt and started loving "sweets", dental carries started to become an issue so as tooth decay and gum problems. My daughter Thea frequently complains about toothache and tomorrow she went home early from school because to terrible toothache. So, we decided to visit a dental clinic for consultation. We just found out the a number of teeth need to be extracted. In fact, she had one of her molars (permanent) removed today. Two more teeth are scheduled for extraction on our next visit. I plan to continue her and Yohan's regular dental check-ups from now on. Gift baskets have become a popular trend for birthdays, holidays and milestones. You can find a gift basket to fit any recipient or occasion, such as an executive gift basket for your relative, friend or co-worker. A gift basket from the company Bisket Baskets may include treats such as Butter Toffee Caramels, California Smoked Almonds and Ernest Hemingway Highland Select Tea. The contents are usually arranged inside a reusable container. Here are several great reasons to treat your peer to an executive gift basket. If your relative or friend is starting a new job in their career field, you can congratulate them with a gift basket full of their favorite snacks. It shows your recipient how proud you are that they are starting their journey. The best part is the gift basket works for a variety of careers, such as an accountant, human resources, receptionist or principal. Whether you are surprising a loved one or your favorite co-worker, a promotion is always a great reason to celebrate. Your peer has worked hard to move up in their field, and executive gift baskets full of gourmet snacks are enough to help anyone prepare for their next chapter. You are also showing your co-worker that you are in their corner as they move on to their new position. You do not always need a reason to surprise your co-worker or employee with an executive gift basket. One idea is to surprise your entire staff with a gift basket of tasty snacks. You can even include a gift message expressing how grateful you are to have them on your team. A small token of appreciation goes a long way when creating a positive work environment. When you order a gourmet gift basket online, you can rest assured that the basket is arranged at the time of your order. This way, you are sending a fresh, delicious gift to your peer or co-worker. You can also include a hand written gift message to show encouragement to your recipient. You can find a variety of executive gift baskets by visiting Bisket Baskets. My son Yohan celebrated his 8th birthday on November 4. He's been counting the days, weeks or even few months prior his special day hahaha. 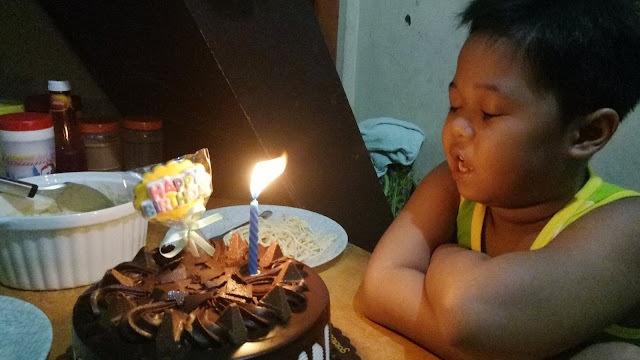 We planned to be make it more special this time since we were not able to celebrate his 7th birthday here for he stayed with my mom and sister in my hometown last year. However, due to hectic schedule we're not able to push through with our Tagaytay trip. We went to SM Mall of Asia last Saturday instead. 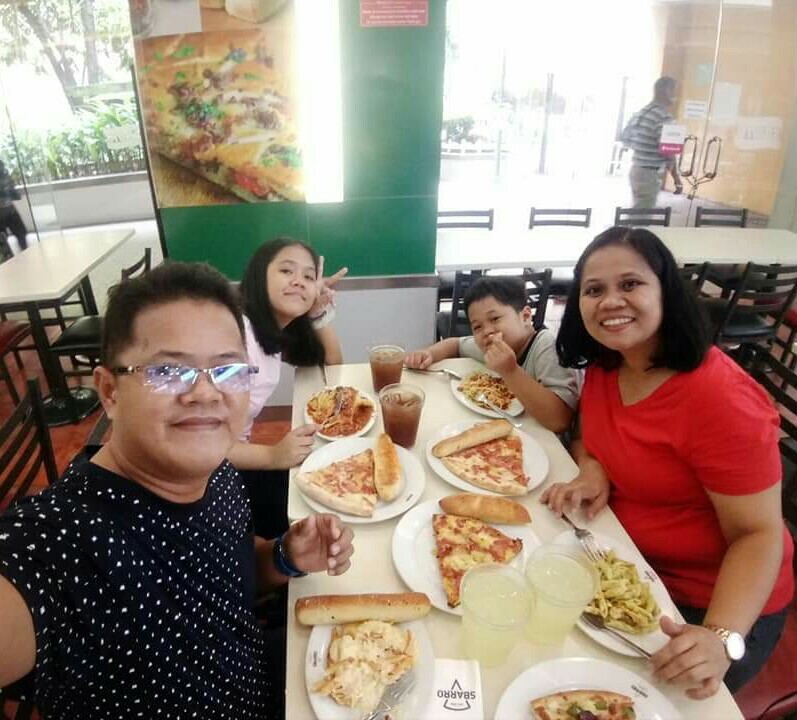 We bought him and his Ate Thea some toys and then we had pizza and pasta at Sbarro. He also enjoyed in the kiddie rides inside the mall. We ought to try the theme park at SM By the Bay, but most of the attractions are closed, maybe because it was still a holiday. And, we had Chocolate Cake and Chicken Alfredo pasta on his birthday. 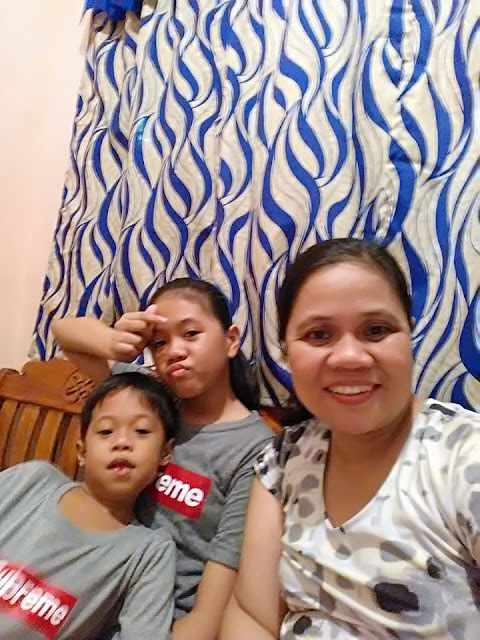 Happy, happy birthday my dear Yohan Amiel. We wish you to be healthy always. Good luck and continue to bring laughter in the family, with all your witty remarks, jokes and funny antics. We love you so much. Study hard and we are here to support you in your dreams and endeavors. For my friends and readers in the other side of the world, I know it's getting cold outside, so it's time to start battening down the hatches and preparing for chilly evenings. Not only will these steps protect your property from damage, but they'll also keep you and your family warm throughout the winter! Caulk will be your best friend when you need to seal up the cracks in your walls and window frames. In addition to being relatively cheap to buy, it's also extremely easy to use. You don't have to be any sort of handyman at all. Just point and squeeze, and the crack will disappear under the caulk's protective barrier. That's all it takes. You don't want to wake up on a cold morning without hot water. You don't want your furnace to give out in the middle of a blizzard, either. Call in a professional to help you inspect and evaluate your HVAC system. You might wind up needing something like water heater repair Gloucester VA.
Ceiling fans that are running in a clockwise direction will push heat from the upper atmosphere down towards the floor. You'll hate this in the summer, but in the winter, it can be an extra source of warmth without having to crank up the thermostat. Check to see if your ceiling fans are running in the right direction. If you haven't changed the filters in your heating and cooling systems in awhile, your machines probably aren't running as effectively as they could be. It might even be raising your energy bills as your HVAC system overcompensates for its clogged filters. Take a look at them and see if they're covered in dust. If the answer is yes, it's worth the investment of some new filters to get your HVAC system in top working order. These are just a few ways to prepare your home for winter. If you start today, you can avoid slipping, falling and freezing as you attempt to do maintenance work in the middle of a snowstorm! Hi, it's been a while since my last post (again) . Oh well, same excuses - work and motherhood duties combined. At work, I have given bigger responsibilities which mean more time analyzing data and meeting people outside of my workplace. And then, we do not have assistant at home anymore. Thus, I am spending more time in the kitchen and laundry area now. 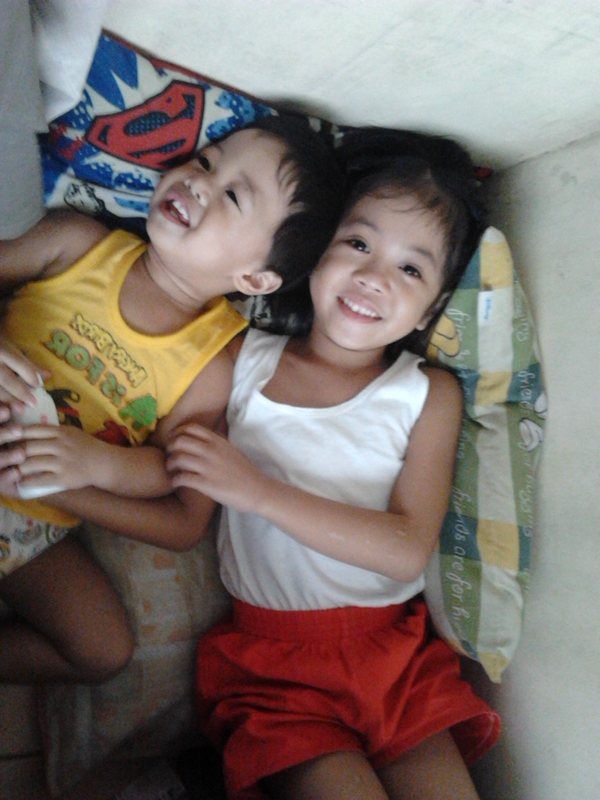 I am not complaining though, because I love being a hands-on mama to my two growing kiddos. I used to blog during my free time. Now, short breaks from office work are meant for errands, attending meetings and activities at kids's school, and of course quality time with my lovely family. In other news, a strong typhoon (Typhoon Ompong) continues to threaten a large portion of the Philippines. As per latest weather bulletin, Signal No. 3 was raised in some areas in the provinces Cagayan and Isabela where thousands have already evacuated. Meanwhile, Signal No. 1 is hoisted in Metro Manila. I am praying for everyone's safety. Stay Dry, huwag nang lumabas ng bahay hangga't maaari. It is another school year here (in the Philippines). My kids transferred to new school. Well, my eldest Thea is a returning student for she spent few years there, from Kindergarten to Grade Two. 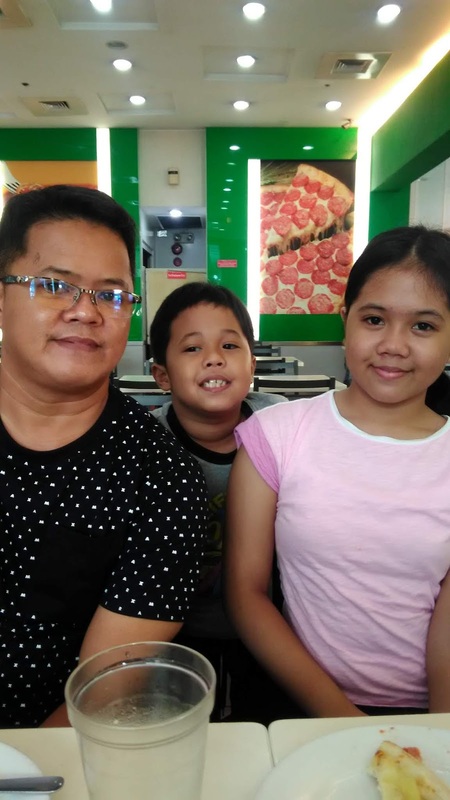 She's now in Grade 7, while Yohan is in Grade 2. Classes officially started last Monday but before that, I attended the 1st PTC and Orientation last June 12 and 16. Meetings for each department were conducted separately. During the Junior High orientation, parents were informed about the rules of the school and marking system. 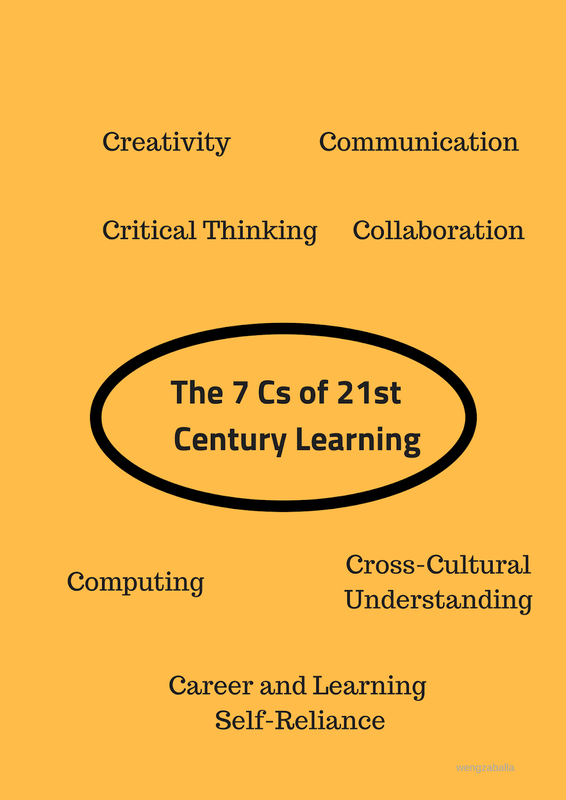 Apart from that, we also got acquainted about the 7 C's of 21st Century Learning during the Primary School session. 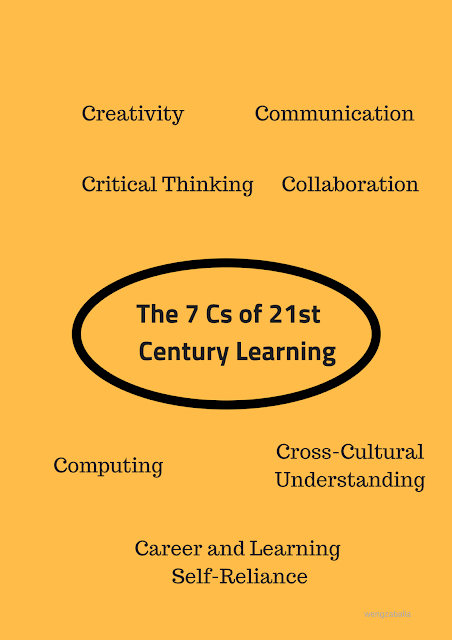 This serves as one of the guiding principles of the new K to 12 curriculum. For the year, their school is banking on strong partnership among parents and teachers. This is a very good idea because it not only encourage the parents to support their children but will also keep communication lines with the school open. This will greatly benefit the learners, just like the facilitators emphasized during the meetings. So far, the kids are enjoying their first week at school. They have lots of stories about their experiences during the day. And that makes learning fun and exciting! Vacation is almost over for students here in the Philippines. In fact, classes in all public schools already resumed last Monday, June 4. On the other hand, my children will be going back to school on June 18. We still have few more days to relax and prepare for the upcoming school opening. Before writing this post, I've already listed the school supplies we are going to purchase this weekend. We will also pick up their books and uniforms on Saturday. BTW, Sorry if I haven't updated this blog for two months. I encountered family issues in the past couple of months, thus lost the energy to even compose a simple article. I got busy on my job as well. I am happy to share that I'm doing okay now- family and career-wise. Meanwhile, allow me to share snapshots of what happened since April. 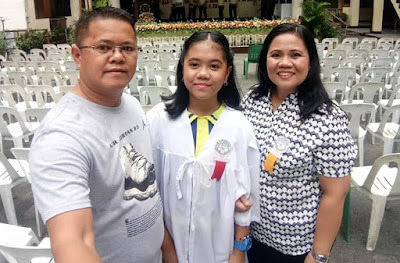 My Unica Hija Thea graduated in elementary last April 4, 2018. 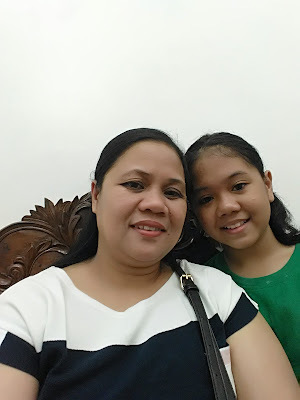 Thea turned 12 last April 25. Moi, amazingly happy at 41. It's been a while since my last post, been busy (again). My apologies. Summer is here but my family has not gone for vacation or out-of-town trip yet. We are reserving it for May, when our youngest returns. He spent the entire school year in the province and will be back in May, for good. We just relaxed at home and shop a bit for Thea's graduation. Meanwhile, let me share this photo with my unica hija. Good day, wishing you an awesome and productive week ahead. We're on the 3rd month of 2018 already. Things are not easy during these past few months because of some challenges in parenting, career and finances. But I firmly believe that these too shall pass.. 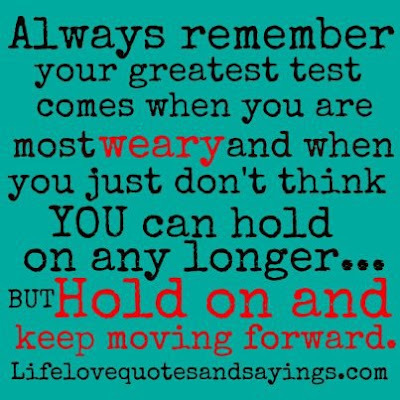 I will continue to hold on with my faith in God for I know all of these are just temporary. Prior to consulting Mr. G, I am confused with mother of thousands and mother of millions - two succulents from Kalanchoe genus. But I think this plant I'm featuring in the post is a mother of thousands. 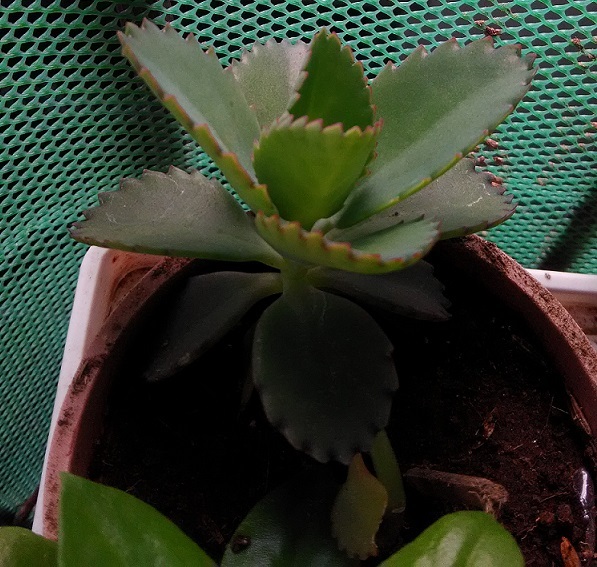 Mother of Thousands has a broad, tear-shaped leaves. They always grow in pairs, each leaf on opposite sides of the stem. The next pair of leaves rotates 90 degrees, so that the new leaves do not block the sun from the old ones! Great! This leaf pattern is actually common in plants, and helps ensure all the leaves get enough sunlight. Each leaf has little ridges on the edge- this is where the baby plantlets form. Mother of Millions, on the other hand, has very narrow leaves. It has four leaves that all grown from the same of the stem. These don't alternate like the Mother of Thousands. The plantets on these leaves only grow at the end of the leaf, near the tip. Mother of Millions is considered a toxid weed in Australia and Africa because it grows rapidly, even in the most adverse weather conditions. We took advantage of the long weekend because of Chinese New Year Celebration (Feb. 16 2018 was declared as a holiday here in PH) for a quick bonding with the young lady of the house, Thea. It was a simple yet meaningful bonding moment for us. Before Papa left for Baguio City on early morning last Friday, he told me to take Thea out. I said yes, I will. This is the plan! 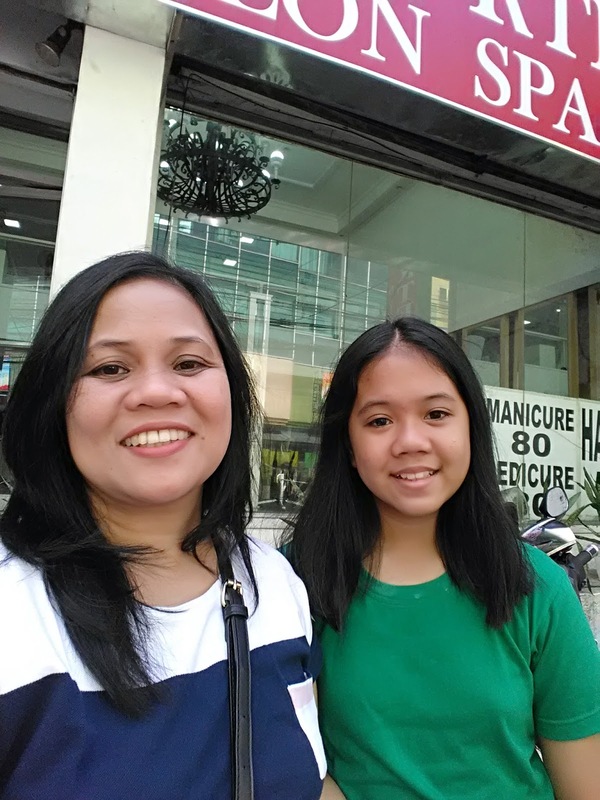 We will both get a trim at the nearby salon and then take her to the bookstore to get some art supplies she's been asking since first week of January. When I told Thea about it, she immediately took a bath and dressed up. So, we left the house at ten in the morning. First stop - Victor Ortega Salon, Kalentong, Mandaluyong Branch. 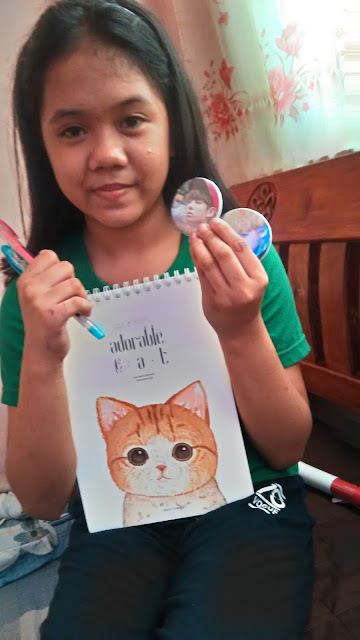 Please excuse my "siopao" face hahaha. Thea is becoming my carbon-copy as she grows older, isn't it? A more charming version of me perhaps. After that, we went to Samya Bookstore and School Supplies inside the Marketplace Mall just on the other side of the street. I also got her a new pair of slippers. Divisoria and Taytay (Rizal) shopping are next stops in our list. We are also looking forward for more family getaways this coming summer break. Yohan will be coming home and will be staying with us for good. Ugh, I really miss my funny and sweet baby boy. I know, I know! 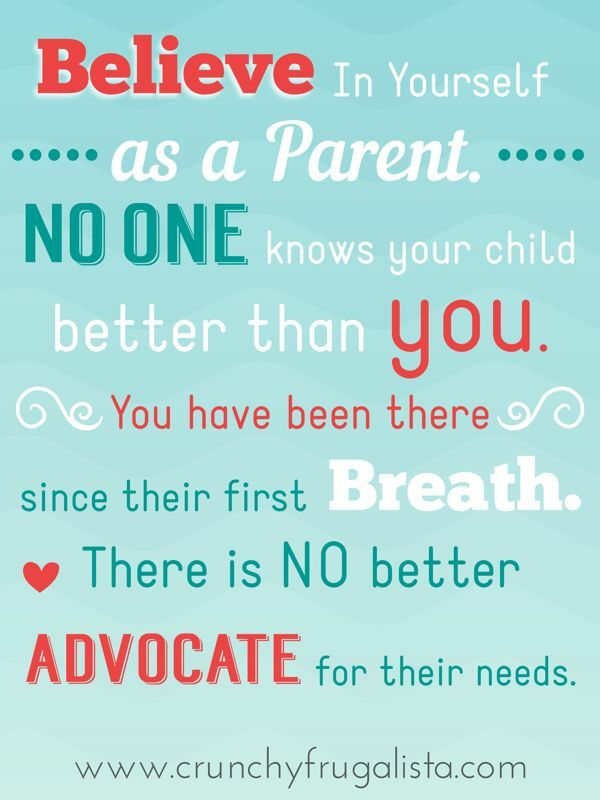 It's okay to have hits and misses in parenthood. 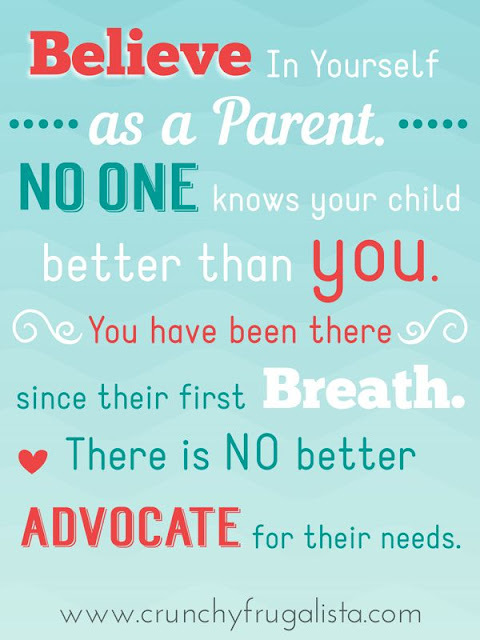 But, sometimes it's kind of confusing that suddenly you feel guilty and ask yourself, Am I a bad parent? Am I raising my child/children well? But...no matter what happens, I will never ever stop loving my children. I will assure them that I love them more than I love myself. I will not let anyone or anything interfere in the way I am raising my own children. 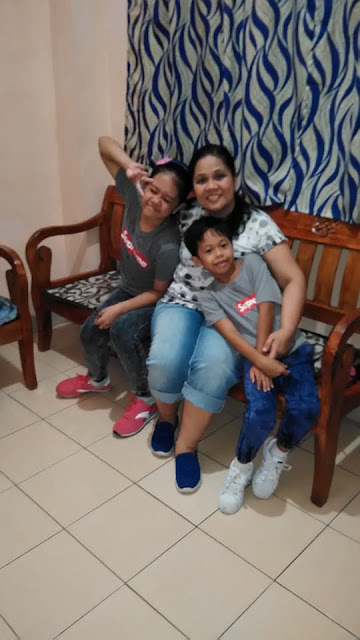 They are my own, I take the responsibility of LOVING and TEACHING them to become kind-hearted and God-fearing individuals. Good day everyone, warm hugs for all of yah! While we are not a grade conscious household, the remaining two quarters of this school year is crucial for our unica hija because she is a graduating elementary student. Her school called for a parent-teachers' conference yesterday, so I asked my niece to attend in my behalf. The Third Quarter Report Card was also released after the meeting. At around 4pm, I called her and asked how was Thea’s grades. Thea got 85-90 in most subject areas while below 85 in Mathematics. Thea: Ma, okey naman lahat ng grades ko except sa Math, same as last quarter, 82 pa rin po Ma. Me: Okey na yun, matataas na ang grades mo. Pagbutihin mo pa para mag-improve pa ha. Thea: Sana tumaas pa ng 3 points ngayong fourth grading para 85 na. In fairness to her, she still did her best and showed improvements in her study habits. Despite the challenges we're facing because of peer pressure and puberty-related stuff, she still managed to perform well in school. In other news, they already had their graduation portraits taken just a couple of days ago. That signals that the end of this year is fast approaching. Their Graduation Rights is slated for end of March, I guess. No final announcement from the school yet. We are currently looking for schools that offer good quality Junior High education. Focus on discipline and values education, smaller class size, and proximity to our place of residence consist our criteria in selecting school. 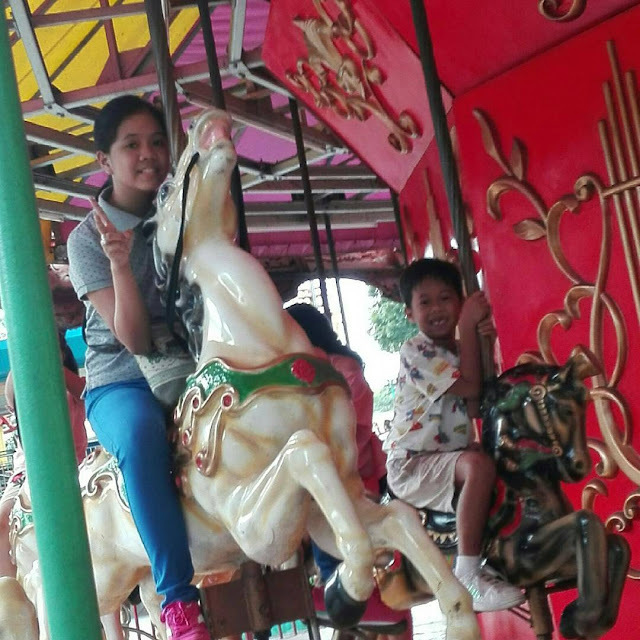 We are more inclined to also enrolling Yohan, an incoming Grade 2 pupil in the same school. Good luck to our school searching! Happy Wednesday to all. Ciao! As I've said, I want my year to be calm and peaceful. Part of it is de-cluttering and improving our humble abode. How can we be calm if the house is in chaos, right? Last month, we're supposed to hire a contractor to make a queen-sized platform bed frame for the master's bedroom. But, we put it on hold due to time and financial constraints. What did you expect, t'was the holiday season. We got busy at home , we got busy at work, too. 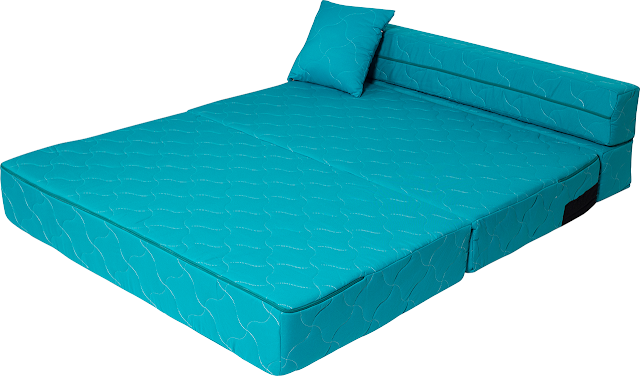 Now, we are considering multi-purpose and cost-efficient furniture like sofa bed, storage bench and the like. I added these two products in my "to buy checklist." Both are Uratex products, by the way. While browsing the company's website, I instantly fell in love with this sofa bed. It is a real space-saver multi-functional product. 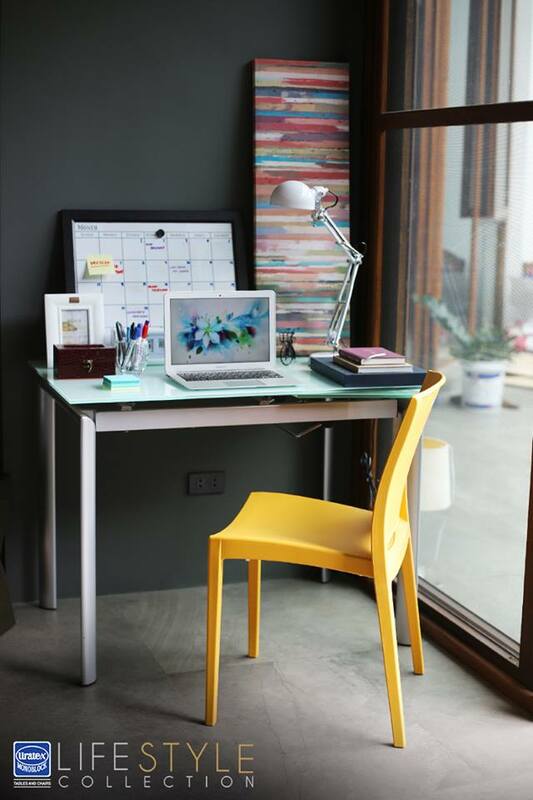 The other one is a monoblock chair from Uratex Lifestyle Collection. Perfect for our study area which we are planning to set up in a vacant space under the stairs leading to the 3rd floor of our small apartment-type home. We'll start saving for these and hopefully purchase it before summer. We'll show you the actual photo of them once arranged in their designated areas in our home. Mom’s Life is made of days spent with pure joy, simple laughter, tests of wisdom, true faith and realized blessings. 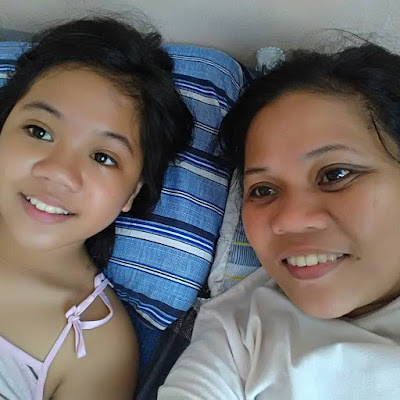 If you’ve been following my posts about parenting, you know that I am experiencing a challenging phase of motherhood coz I am parenting a soon-to-be teenager. Defiant behavior, episodes of lying, going out without asking permission, name it. We are experiencing that at home, this early. My daughter is only 11, going 12 in April. My husband and I talked about her many times already. We asked ourselves what's wrong, what have we done etcetera. This morning after talking to her because of another misdeed, my husband said calmly, “Don’t worry, Thea will also change her ways, her attitude”. I think it’s his way of comforting me. In times like these kasi, I can feel that my wisdom is being put to the test so as my love and patience. 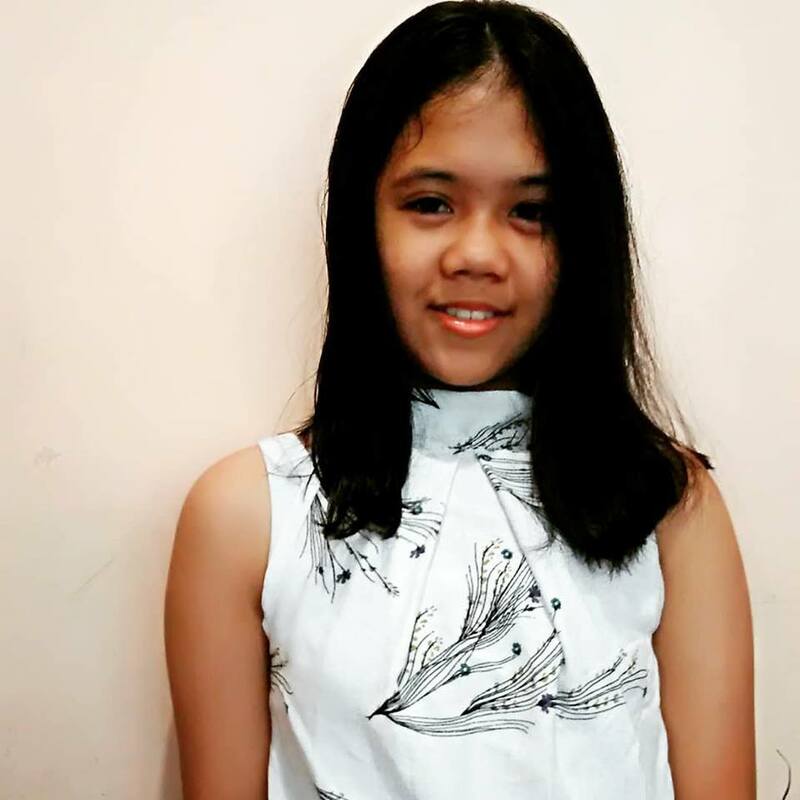 Thea is friendly, loves music and arts and recently hooked to K-Pop group called BTS. But her behavior now, I think, is greatly influenced by wrong choice of peers whom she think are her "friends", and addiction to gadgets. I am continuously looking for ways to strengthen our bond as a family and in keeping communication lines open. I will let her enjoy things that she loves like singing, drawing, and writing (in her journal). I will let her develop her own identity. 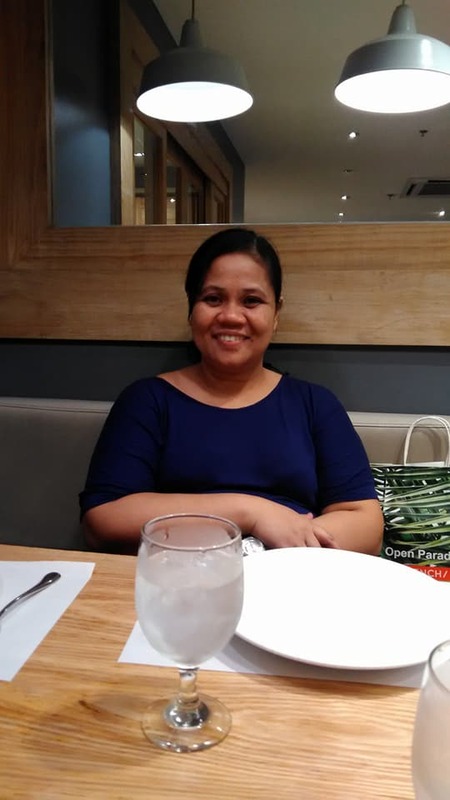 I will encourage her to enjoy her youth, free from too much pressures from barkada. Do you have any suggestion on how to handle defiance among teens? Share them in the comment section, please. Love you all, thank you! We're on the 10th day of 2018, not too late for my 2018 One Word, I guess. This is my 3rd year of selecting a single word to define my goals and expectations for the year. In 2016, I chose Simplify and last year, I declared Happiness as my one word. And this time, I am choosing "Peace." Looking back, I've been in several conflicts and disappointments last year. Because of that, I can do recall how many times I got angry and lose my temper. It was stressful. Some relationships were tarnished. Good thing I was able to address those misunderstandings and revived the once damaged relationship. With that said, my happiness goal in 2017 was not fully achieved. Thus, I will continue my quest for a happy life this year and beyond. This year, I will continue to nurture a peaceful, harmonious relationship with my family, friends and colleague. I will be more patient and calm. I know it is difficult to hold our temper when things go wrong but I will try my best to handle things without agitation. I will avoid yelling to my children. There's one situation last month that hit my heart so hard. I reprimanded Thea for a particular misdeed. You know what, Yohan ran upstairs and refused to clean up before bedtime. 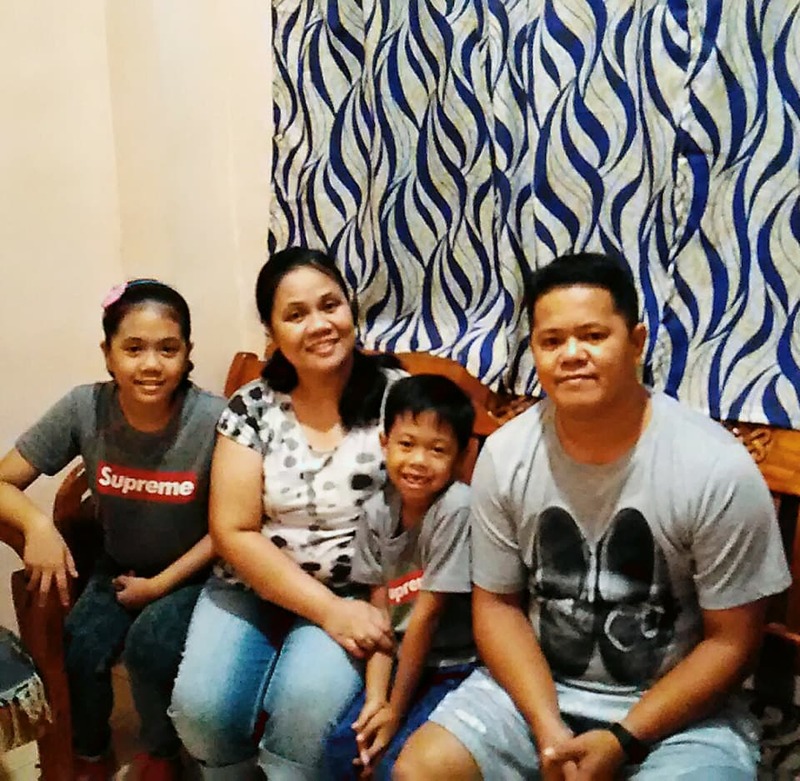 And then I asked why, he replied, Ayaw ko ng nag-aaway na pamilya (I dont' want a family who are fighting). It must be something for a seven year old to say that. I will avoid conflicts with co-workers. I vow to maintain a harmonious relationship with my colleauges. I am grateful that our department hired new staff last year. Aside from additional manpower, I am happy that they are all amazingly intelligent and kind. Swerte talaga pag mababait ang nakukuhang staff. Malamang mahahawaan nila ako ng kabaitan at maraming pasensya para iwas pakikipagtalo na hahaha. 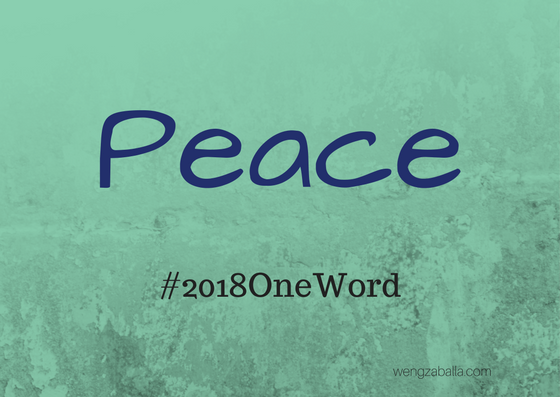 So that's it, I already declared PEACE as my #2018OneWord. How about you, have you chosen a word for this year? Shout them out in the comment section. Good luck and God Bless us always. First of all, I would like to greet everyone a Happy New Year!!! How did you welcome the brand new year? The last few days of 2017 got busier than the usual since the little man of the house arrived. Most of the time at home is spent either in the kitchen cooking his favorite food or in the bedroom playing, cuddling and putting him to sleep. Papa brought them to the nearest mall to buy new stuff for him and his Ate Thea. We also did a simple improvement in our humble abode. We installed a floating shelf for speakers as we've got a new Platinum Karaoke system in our living room, changed the bed sheets and curtains as well as the dinner wares. All are done in the most economical way. Like for example the floating shelf which was made up of upcycled plywood (from a worn-out cabinet door). I'll show the photo of our project next time. On New Year's Day, the kids and even adults of Zaballa clan went crazy over the traditional "papila and paagaw". 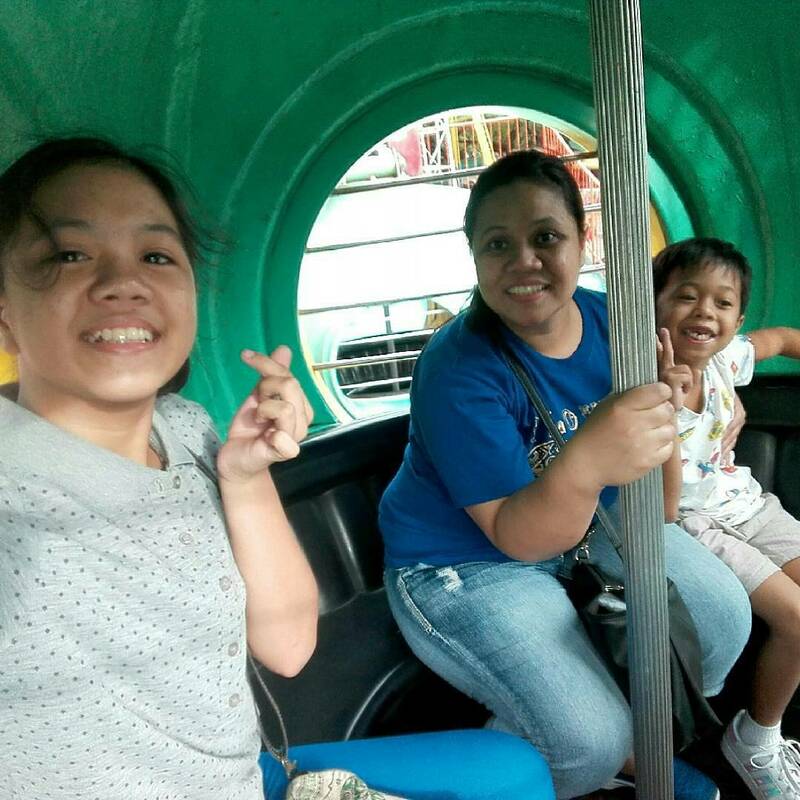 Then, yesterday, the four of us went to Quezon Memorial Circle for a family bonding. 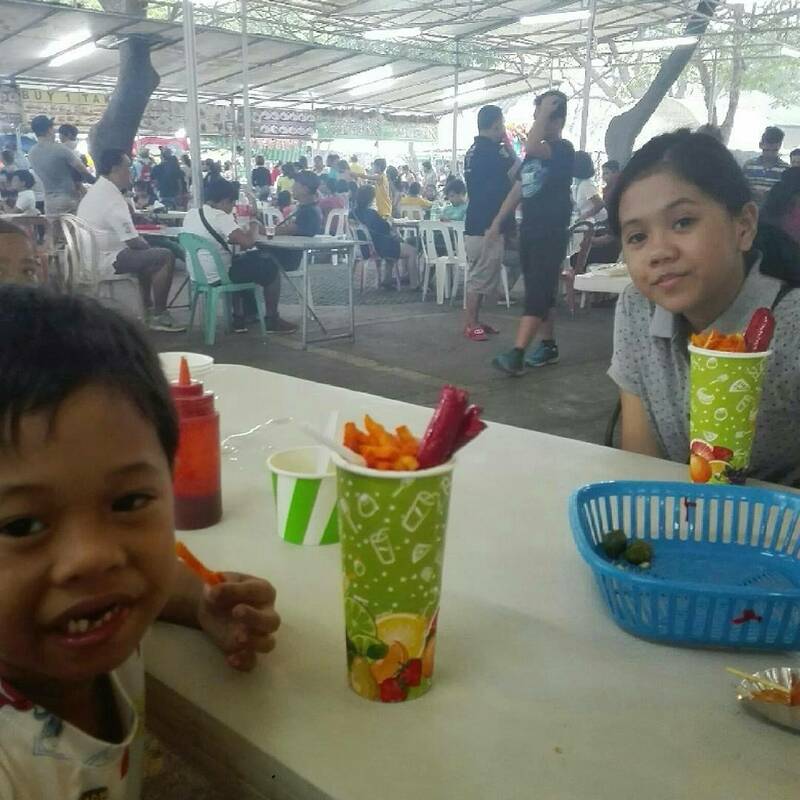 Thea and Yohan enjoyed the rides and the fries, pizza and bubblegum-flavored drink at the food park. Plus, they got to experience the jam-packed MRT ride from Quezon Avenue to Shaw Boulevard. After a quick stroll at the Starmall (Crossing), we capped the night off with a dinner at KFC. That's how we celebrated the New Year of 2018. 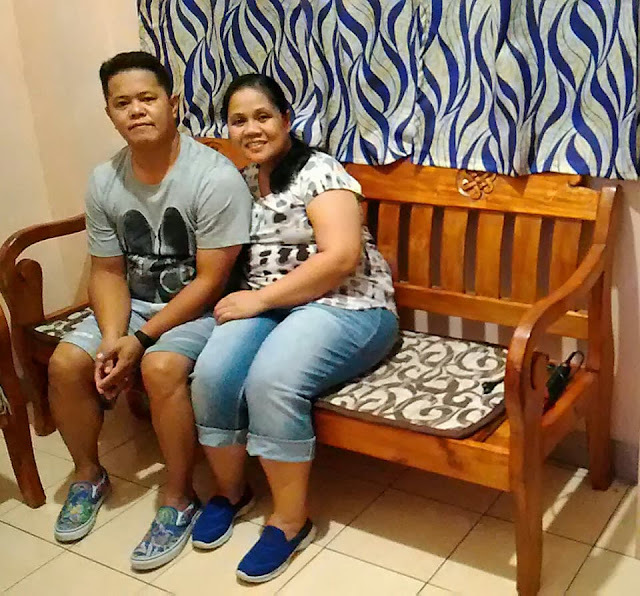 From our family to yours, we wish you a bountiful new year and God Bless us always in the next 365 days of our lives. Let's all leave the sadness, disappointments and negativity behind and welcome the year with high hopes and optimism. As Oprah Winfrey once said, "Cheers to a new year and another chance for us to get it right."